Dr. Discovers the Unlikely Key to Getting Rich: Cheese! 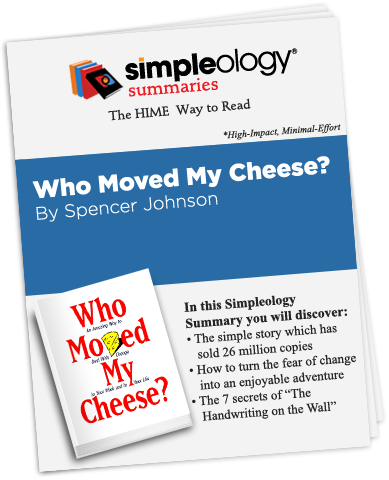 Dr. Spencer Johnson’s essential book Who Moved My Cheese has sold over 26,000,000 copies worldwide. The message, while quite simple, is easily forgotten. And forgetting the message in today’s climate is not only a mistake – it may be a fatal one! Indeed, I predict those who do not have the basic life skills taught in this book simply won’t make it in the coming years.